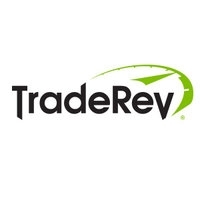 TradeRev is an online automotive remarketing system where dealers can launch and participate in real-time vehicle auctions at any time from their mobile devices or desktop. It allows Sellers to obtain instant bids while the retail customer is sitting in the showroom by providing a private, customized network for Buyers and Sellers that quickly and efficiently move fresh trades. We believe when it comes to buying a car, everyone should come out a winner. That’s why we’ve created the world’s first transparent automotive exchange, where every transaction plays out in the open for all to see and where both buyers and sellers are equally set up to win. Because we believe, people should trust the automotive purchase process, and get excited about it. You’ll be at the heart of TradeRev’s engineering process, building products and services that will bring transparency and trust to automotive sales process. This will include working on new feature development and enhancing features on our auction and payment platforms, to deliver a more personalized experience for our customers. Developing and maintaining Java web-based applications including analysis, design, development and implementation. Continuously work on improving our core offerings as we uncover new business opportunities. Drive technical discussions on software architecture, testing to ensure we do not compromise on quality and performance. Have experience building and publishing web applications, web services and RESTful API’s. Have bias towards action. You’re not afraid to try something new. Our tech stack is Java and Node.js running on AWS infrastructure. If you’ve worked with Java, Node.js, Ruby on Rails, Python/Django or similar technologies, we would love to chat.